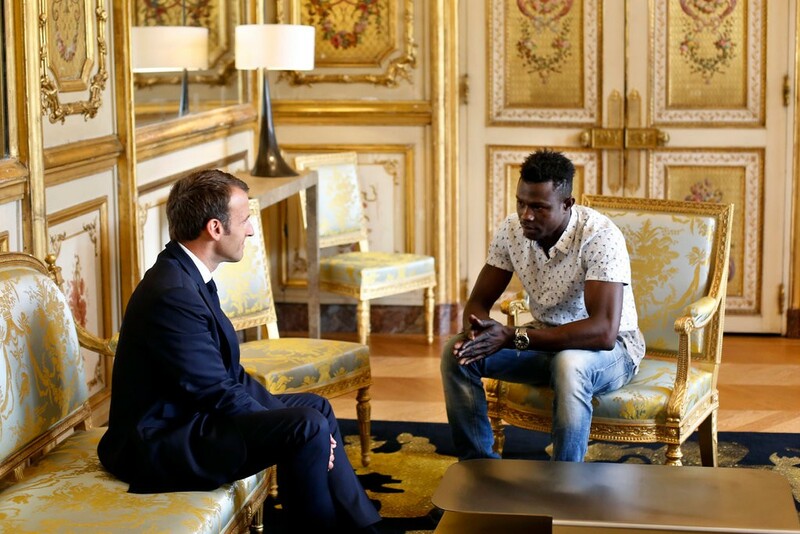 Heavenly Father, our hearts are warmed and we rejoice over good news today as we consider Mamoudou Gassama’s dramatic rescue of a four-year-old in Paris this weekend. In a world fraught with tension about immigration issues, we are delighted to witness a story with a happy ending for so many people. Lord, we are thankful for Gassama’s courage and the physical prowess that enabled him to scale four balconies to save this dangling child. We are so grateful that timing worked out perfectly to prevent a catastrophe for the family of this little boy. We are warmed by Gassama’s meeting with the president of France, his promised citizenship, the offer of a job with local firefighters. There is so much good news in this situation! And now we pray for this little boy. May he bounce back from this terrifying experience. We request wisdom for the law enforcement officials determining what to do about the fact that this child was left alone while his father distractedly prolonged his grocery outing. We pray for both parents to navigate this terrible situation well, as the mother was not even in the country and is not only deeply affected by her child’s near-death experience, but also has to deal with the press surrounding it and with her husband’s investigation. Lord, draw this family close to you during this time, and may they grow in all ways needed. Finally, Lord, we pray briefly for a situation that requires long-term prayer: the immigration situation in France. Be with those migrants without home and country; be with the government as it seeks to do what is best and right for its citizens. In Jesus’ name we pray, amen.